If you’re not a fan of Star Wars, tough luck. Ever since Disney picked up the rights from Lucasfilm for a cool $4bn back in 2012, there has been no escaping the mega movie franchise. Disney wasted very little time before extracting a return on its massive investment, releasing The Force Awakens to critical acclaim and the delight of fans worldwide. Spin-off Rogue One followed just one year later, and now, with the festive season fast approaching, we must all prepare ourselves for yet another installment - Star Wars: The Last Jedi. Of course, cinema ticket sales are big business, but arguably bigger business is merchandise sales – with the franchise generating more than $5bn last year alone. With that amount at stake, Disney needed to find a way to make sure that fans were making their way into retail stores in advance of this year’s big movie release. The solution? A ‘Find The Force’ augmented reality treasure hunt that piggybacked on the overwhelming popularity experienced by Pokémon Go last year. 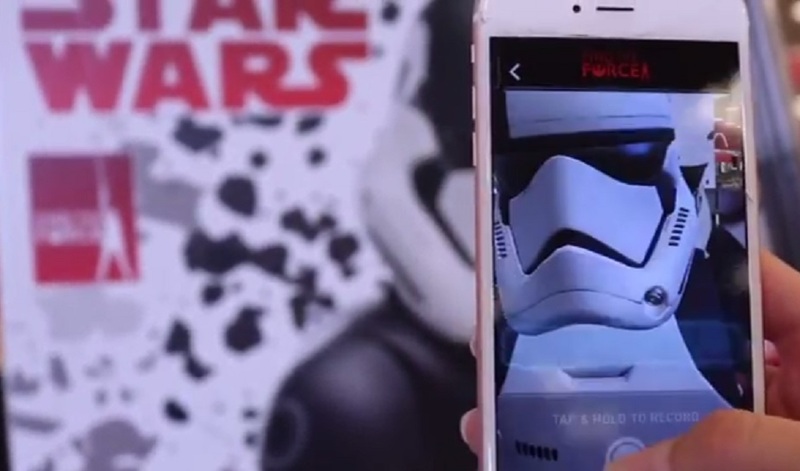 Fans were invited, in early September, to take part in the special augmented reality experience by downloading the Star Wars app, and then visiting any one of 20,000 participating retail locations to hunt out the ‘Find The Force’ logo. By scanning the graphic using the app, characters from the film were revealed to fans. 15 characters were available to be found – both established favourites and new faces – with more unveiled each day to keep the campaign fresh and create a hook for fans to return over the 72-hour stretch. 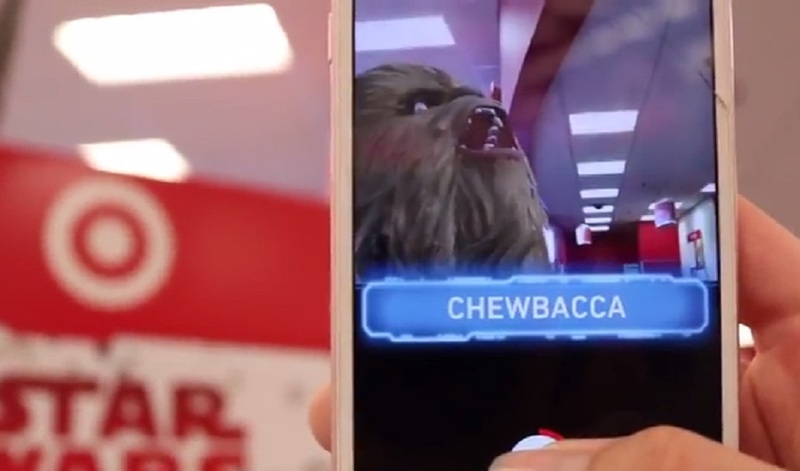 Spanning 30 countries – including Walmart, Toys R Us and Target in the US and Smyths, John Lewis and HMV in the UK – the AR experience created massive buzz for Star Wars with its seamless social media integration. Delighted fans shared their experiences using #ForceFriday and #FindTheForce. This isn’t the first time that Star Wars has channeled the force to win over fans’ attention – far from it. Its LEGO brand experience in Berlin shone a light on the dark side, while supermarket Carrefour made childhood dreams come true with shopping like a Jedi!